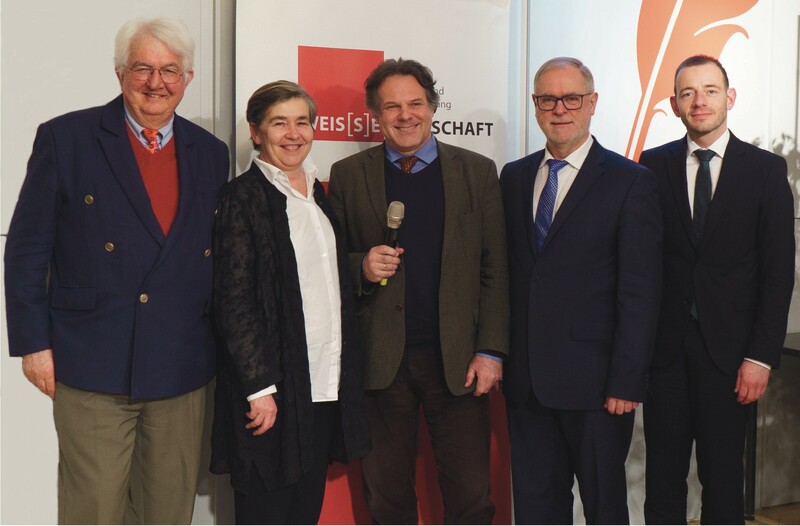 The expert panel consisted of Robert Holzmann, Ursula Struppe, Franz Wolf and Klaus F. Zimmermann. The moderator was Andreas Kresbach, and the organizer (and well-known head of DIE WEIS[S]E WIRTSCHAFT), Peter Brandner. Klaus F. Zimmermann is a Professor of Economics, the President of the Global Labor Organization (GLO), a Co-Director of POP at UNU-MERIT and affiliated with Maastricht University and Bonn University. He has been a frequent advisor of various governments around the globe, the EU Commission, the World Bank and the OECD, and the Inter-American Development Bank. 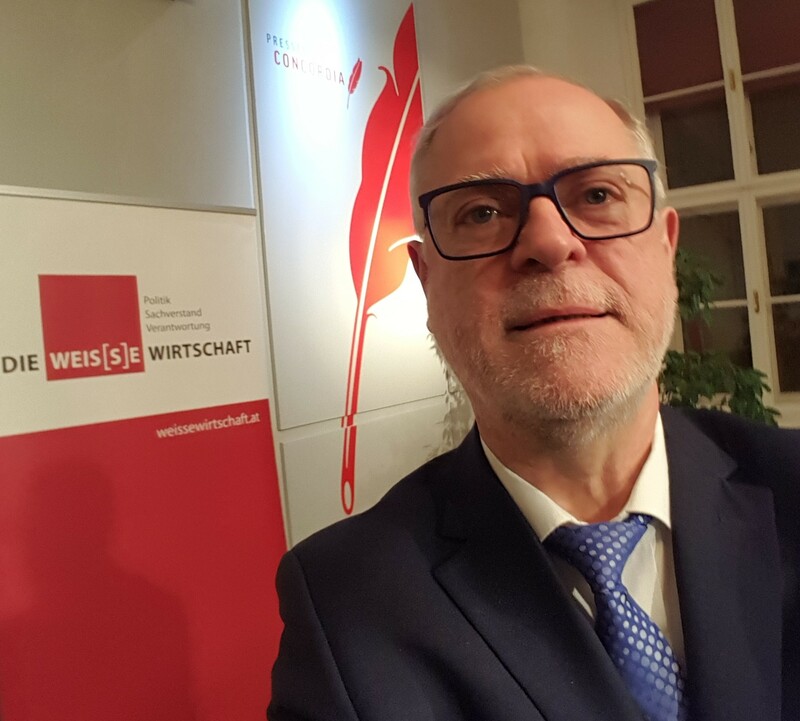 He also had served as President of the German Institute for Economic Research (DIW Berlin) and the Founding Director of the Institute for the Study of Labor (IZA) in Bonn. Video documentation of the event (in German). Austria and Germany face similar challenges and it is not surprising that the issues covered in both government contracts are pretty similar. In fact, already the number of pages of both documents are about the same (about 180 pages). The Austrian government is based on a collaboration between the (Christian Democratic) center-right People’s Party with the far-right Freedom Party affiliated with the recent European populist movements. In Germany, the newly planned government contract has been negotiated between the (Christian Democratic) Conservatives, the CDU, and the Social Democratic Party, SPD. While the CDU has become closer to the SPD on various themes, the Bavarian conservatives, the CSU, are challenged stronger by the attempt to deal with these recent populist movements. Both government contracts seem to assume that the refugee and the labor migration issues can be separated. It cannot. By re-establishing a fortress policy towards refugees, it seems difficult to signal openness for labor migrants at the same time. A false dream is that one could copy the rough refugee and the successful labor immigration policies of Australia. While neither Austria nor Germany are islands and face (like Australia) a strong excess – supply of economic migrants and a long -established image as a promising immigration country. Also “flooded” by Asian immigrants, in particular Chinese, most of them currently come as students where they are the input into the generation of the second largest export good of Australia, university education. The new Austrian government believes much stronger that in can protect its borders against refugees. At least, it promises its voters a larger number of concrete measures in Austria, in Europe and in the sending regions, even to engage on the migration routes in Africa. The German contract is much less concrete, although it wants to limit the refugee inflow to not repeat the 2015 experience. Whether it makes sense to promise the impossible as in the Austrian approach, reality will have to show. At least one should not expect that economic development measures would stop the migration pressure, development only makes illegal migration pressures stronger. Stricter border controls only lead to more permanent illegal immigrants, because people do not only come by boat but also as tourists, the overstay, and the borders in the South and the East of Europe cannot be fully closed. The German approach is more cautious, announcing to create two expert commissions to study “integration potentials” and “flight causes”. While the Austrian government plans refuse to show European solidarity with respect to the refugee issue, it is the German government contract that insists on a central role of Europe and a quota system for asylum seekers. The understanding of the role of Europe marks the strongest differences between Austria and Germany in the near future. Whether it makes sense to let Greece, Italy and potentially Spain, Bulgaria and Romania alone with future illegal migration pressures, will have to be seen. As in the past, they will allow migrants to move on, if necessary. While the Austria government still wants to develop a concept to organize and attract economic immigration more effectively, the German contract indicates a few channels and instruments by providing a number of keywords and is listing a number of categories which could be part of a potential point system in a new immigration law. The labor market, the universities and the apprenticeship system of Germany could operate as filters for such a policy; the Austrian government seems to be also sufficiently open for it. While Germany wants to strengthen integration and foster integration research, Austria is much more determined to monitor and supervise integration on all societal levels. The Austrian government plan also offers a transparent pathway to citizenship. Both governments intend to integrate refugees early in the labor market, but Germany is already ahead with already existing practical measures. The German contract has a more balanced view on the Islam, while the Austrian government wants to strictly oppose radical Islamism. Klaus F. Zimmermann (UNU-MERIT and Maastricht University), who is also the President of the Global Labor Organization (GLO), used the visit to discuss various issues of joint interest with Bernhard Felderer (the former Director of the Institute for Advanced Studies, Vienna), and GLO Fellows Peter Brandner, Manfred Deistler and Robert Holzmann. Klaus F. Zimmermann contributing to a well-attended public Policy Panel in Vienna in the Press Center Concordia. This entry was posted in Economics, Events, Media, Policy. Bookmark the permalink.